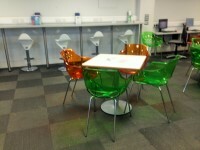 Services / facilities within the building include learning facilities, meeting rooms and a cafe. Related link Shopping City Runcorn. The nearest National Rail station is Runcorn. 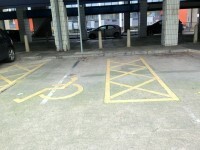 The dimensions of the designated parking bay(s) are 300cm x 400cm (9ft 10in x 13ft 1in). 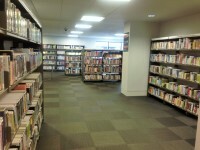 The nearest designated bay is 11m (12yd 1in) from the shopping centre entrance. 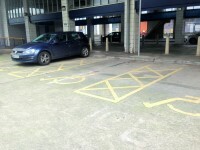 The furthest designated bay is 20m (21yd 2ft) from the shopping centre entrance. 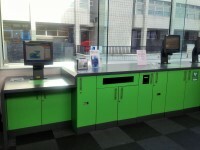 You are on Outside Access (Shopping City Runcorn Entrance). Skip to the next section. This information is for the entrance located in the car park underneath the library. The width of the door opening is 270cm (8ft 10in). You are on Level Change (Shopping City Runcorn Entrance). Skip to the next section. 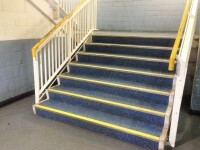 The step(s) is/are located immediately beyond the entrance. 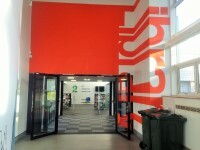 You are on Lift (Shopping City Runcorn). Skip to the next section. 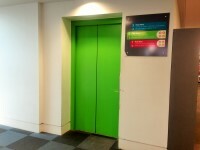 The lift is located just beyond the entrance. 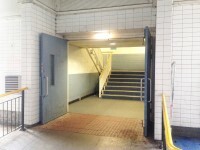 The lift is approximately 4m (4yd 1ft) from the entrance. 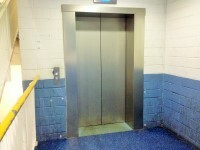 The dimensions of the lift are 134cm x 258cm (4ft 5in x 8ft 6in). 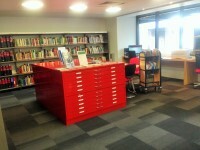 You are on Outside Access (Library Entrance). Skip to the next section. The door opening is 215cm (7ft 1in) wide. 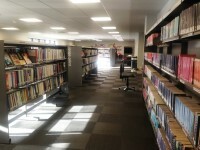 The entrance to the library is to the right on exiting the car park lift. 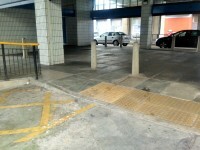 There are security barriers at the entrance with a width of 162cm. 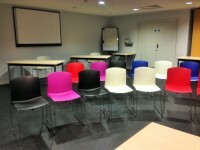 A large text keyboard, height adjustable table and height adjustable chair is / are available. 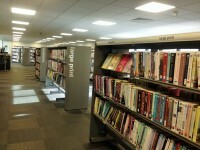 You are on Lift (Library). Skip to the next section. 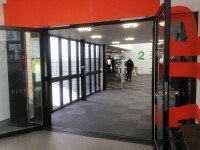 The lift is located to the left of the library entrance. 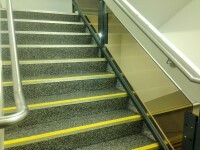 The lift is 15m (16yd 1ft) from the library entrance. 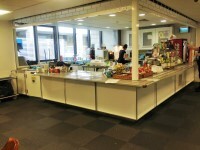 The cafe is located on the second floor of the library. 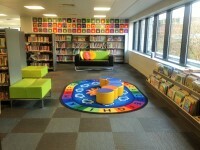 The nearest table is 18m (19yd 2ft) from the main entrance. 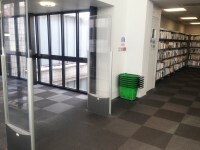 This accessible toilet is 23m (25yd 6in) from the library entrance. 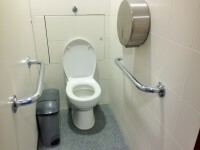 This accessible toilet is located to the left on entering the library entrance. 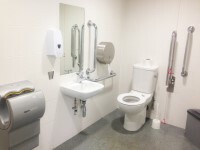 The dimensions of the accessible toilet are 164cm x 350cm (5ft 5in x 11ft 6in). 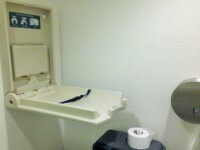 Baby change facilities are located next to the accessible toilet. There is an identical toilet on the third floor. The female and male toilets are located on the second floor. 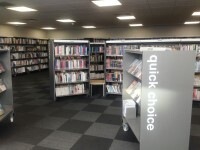 The female and male toilets are 23m (25yd 6in) from the library entrance. 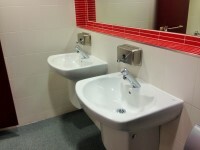 There are also standard toilets on the third floor.